Fireflies are also known as lightning bugs or glowworms. They are tiny, brown color beetles in the family of Lampyridae. Fireflies are winged beetles that their lower abdomen can produce yellow, green, or pale-red lights, with wave lengths from 510-670 nanometers. 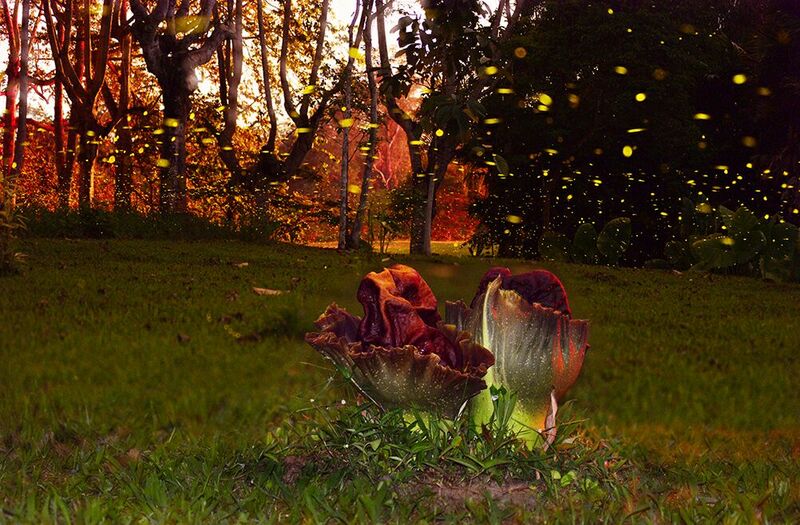 Xishuangbanna Tropical Botanical Garden (XTBG) is home to numerous fireflies. From April on, the fireflies add attraction to the beautiful garden, lightening and turning it into a fairy land in the evening.